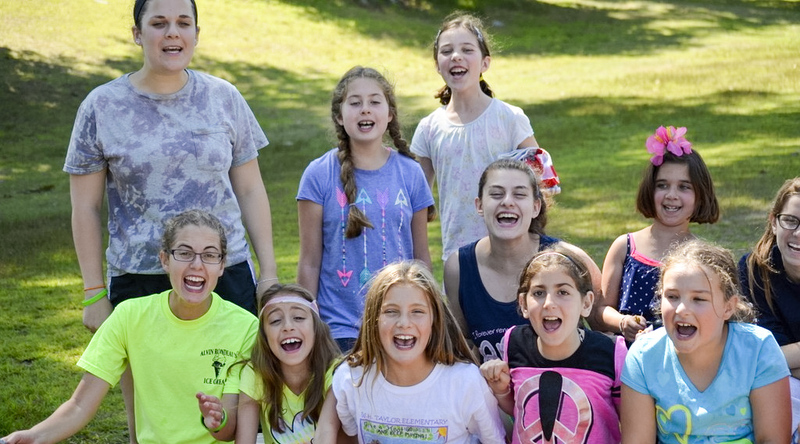 Each week a yom meyuchad (special day) changes the daily rhythm of camp life. 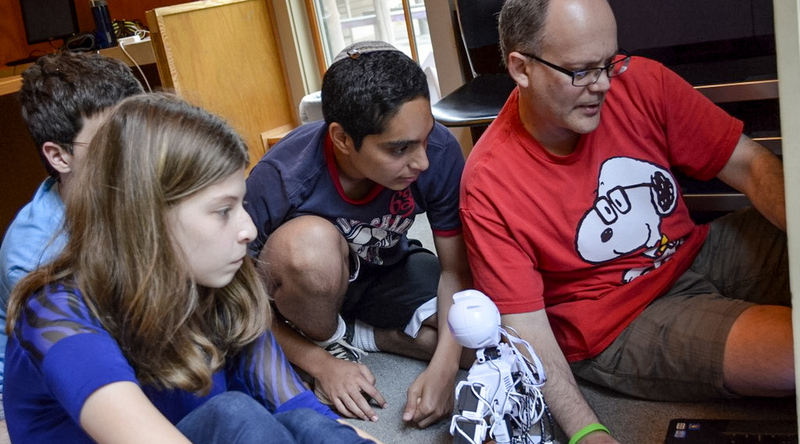 We set aside the regular camp schedule to make time for exciting and different day-long programming. Counselors spend a great deal of time planning elaborate programs, focusing on a particular theme or experience. 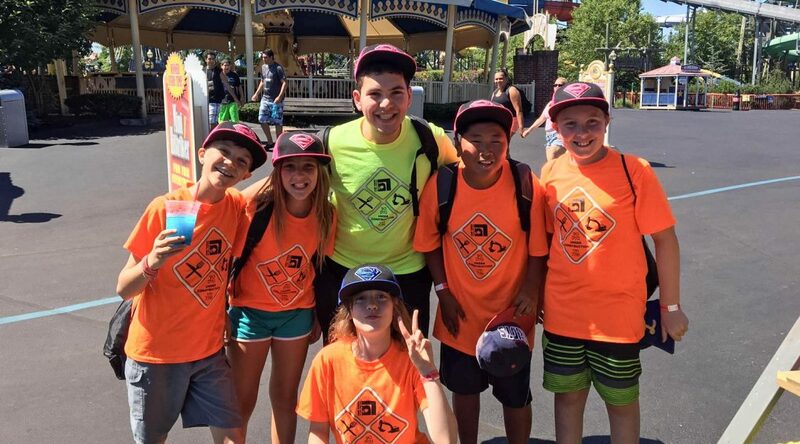 On hot days, a huge water fight often finds its way into the themed activities! 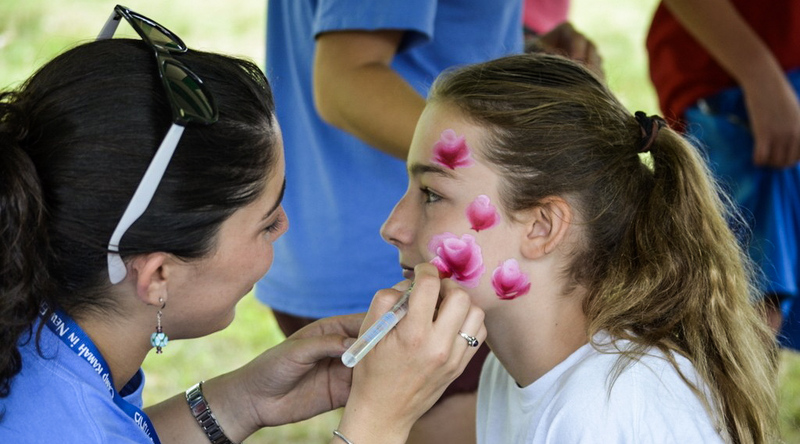 One yom meyuchad each summer is set aside for Yom Sport (color war) a day-long intra-camp competition of games, songs, dances, arts and zaniness. 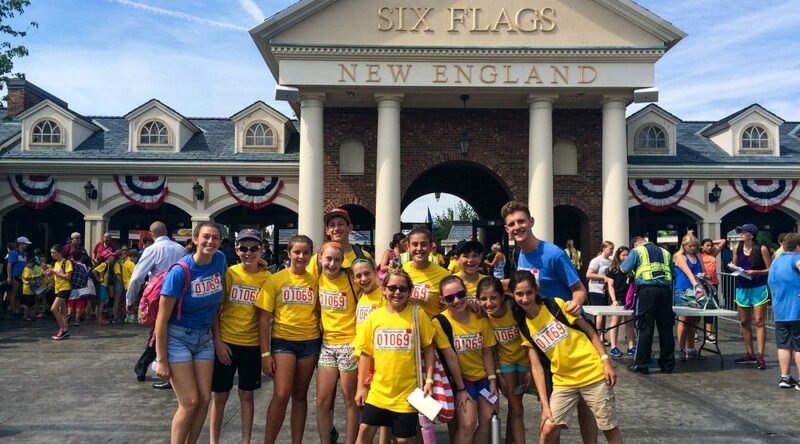 A highlight of the summer is the day we take the entire camp to Six Flags New England! 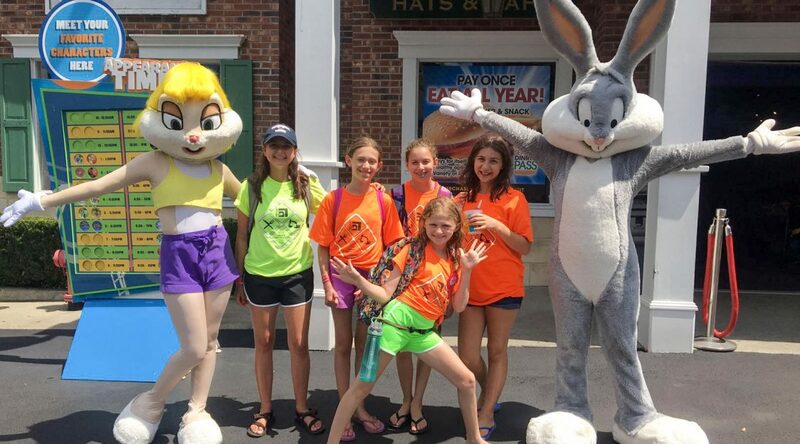 Enjoy the best roller coasters and water slides with all of your friends! Don’t like going on rides? No problem! 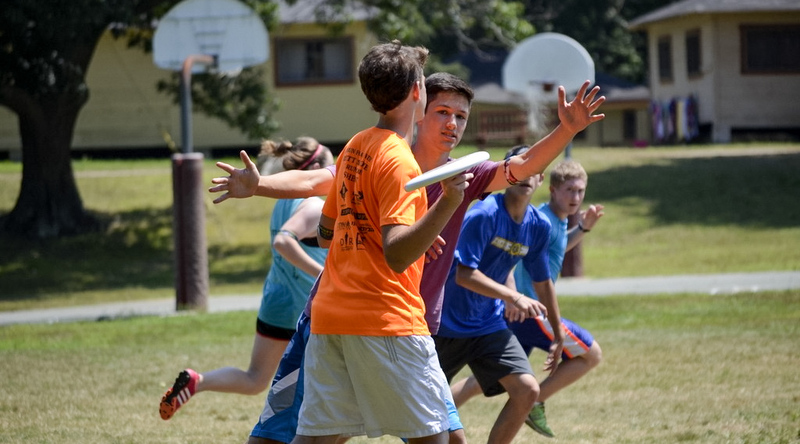 There are tons of fun games to play, too! 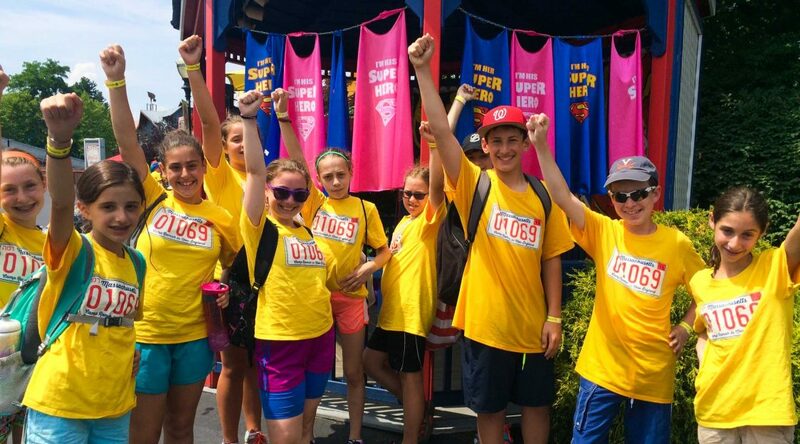 (Campers sign up for Six Flags groups in advance, so that they can spend the day going around with other campers and counselors interested in the same types of Six Flags activities that they are.) 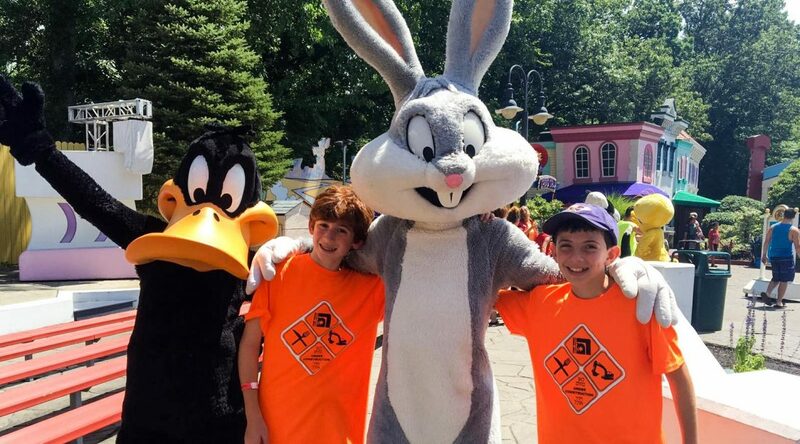 Tzad Aleph (A-Side) goes to Six Flags once each four-week session. 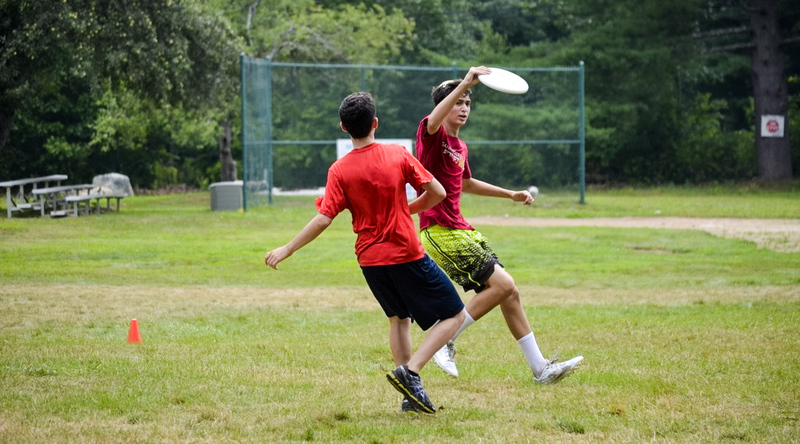 Tzad Bet (B-Side) goes once during the first session. 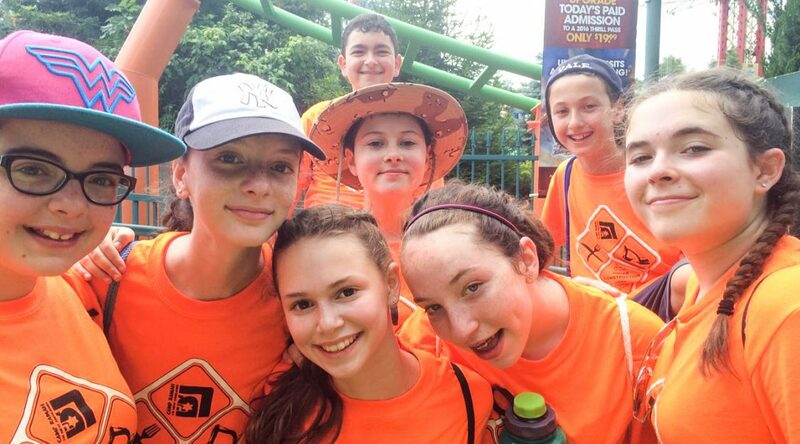 Tzad Bet campers have an additional trip, which is integrated more fully into their summer experiences. 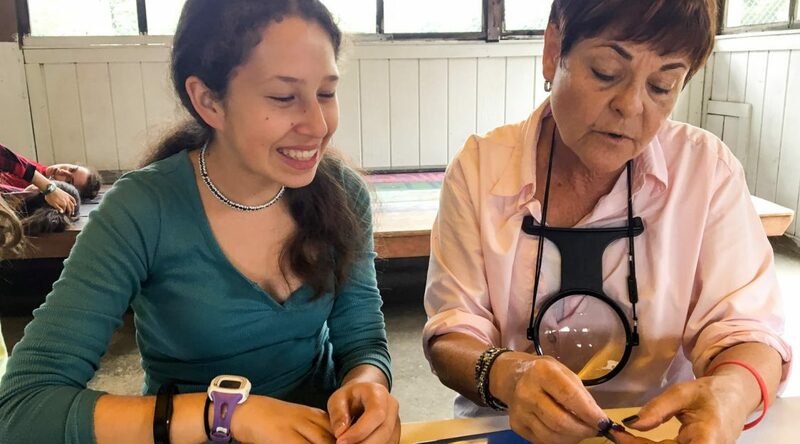 These adventures are built around themes like service or American Jewish history, and always include a healthy mix of educational opportunities to complement the experience. 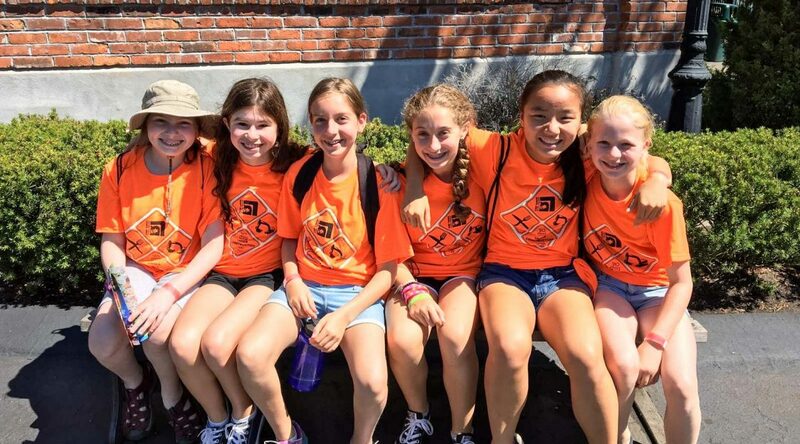 As campers get older, this second trip expands from a one-day trip to a multi-day experience out of camp. 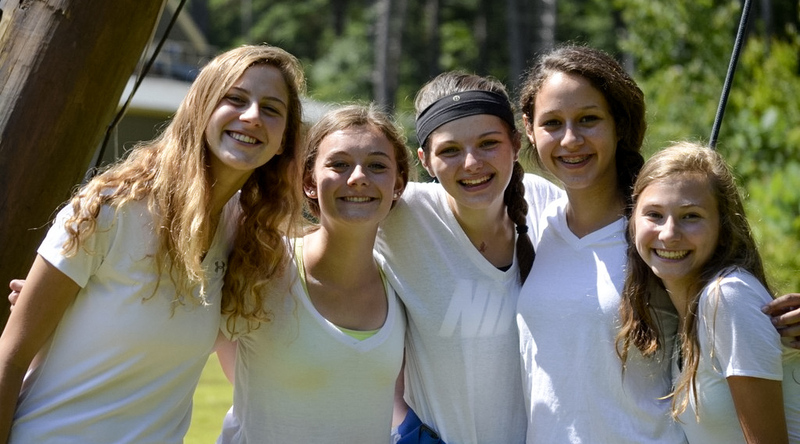 Each edah (division) at Ramah has their own fire-pit, and once a week after dinner the edah will gather for a festive medurah (campfire). 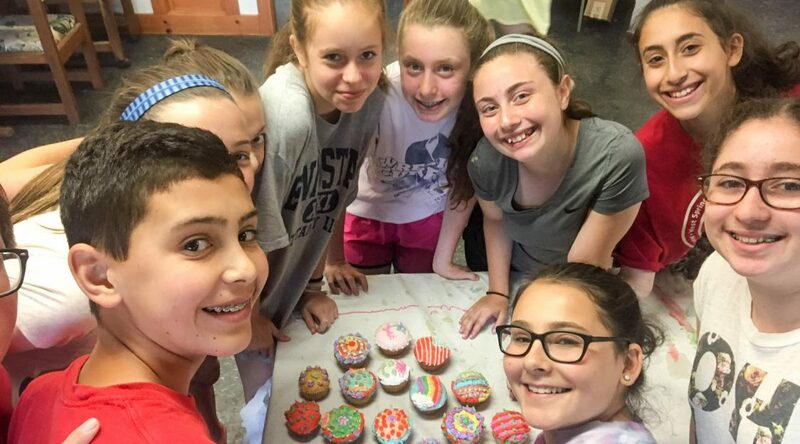 The kids sing song and perform skits, and enjoy s’mores and other yummy snacks. 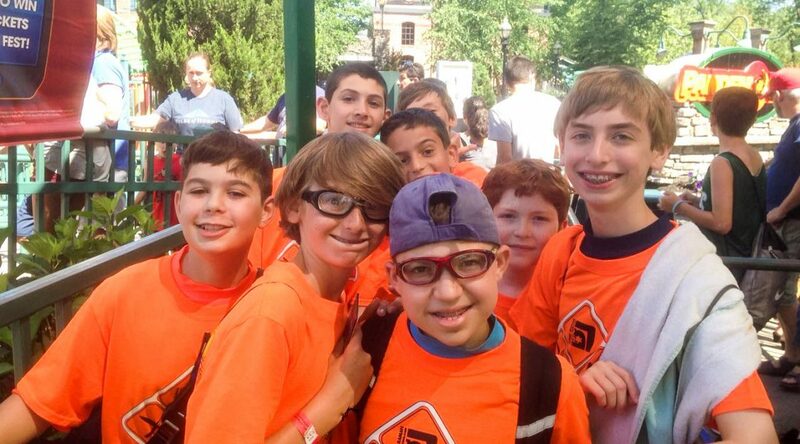 Once each session we run a special Boker Tzrif (Bunk Morning). 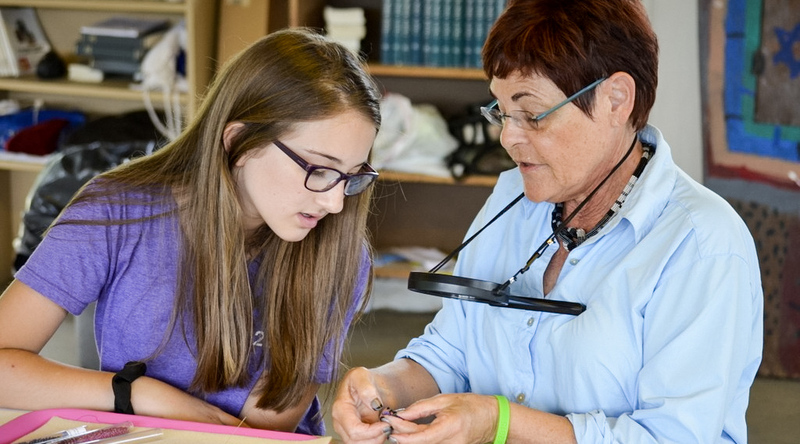 As a bunk, campers sign up for a series of special bunk programs run by our specialty staff-members. 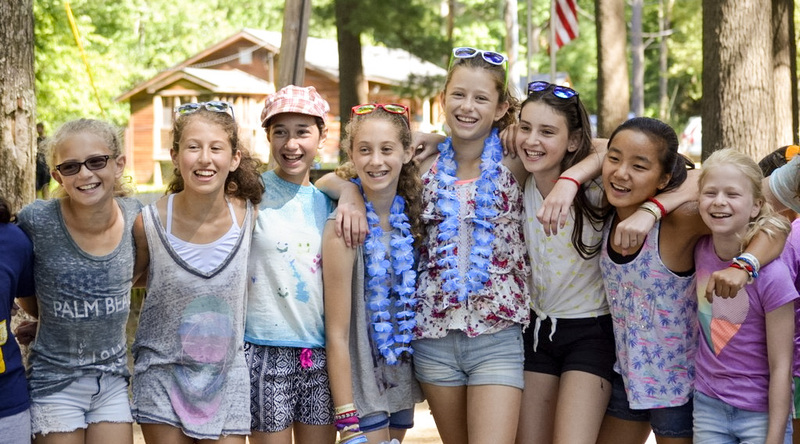 When the Boker Tzrif arrives, campers get to spend an incredible morning with their bunk-mates, going to activities they would never get to do on a normal day of camp, like tie-dye and candy-sushi-making, and to visit some of their regular camp favorites like cooking, ropes, and the water trampoline! 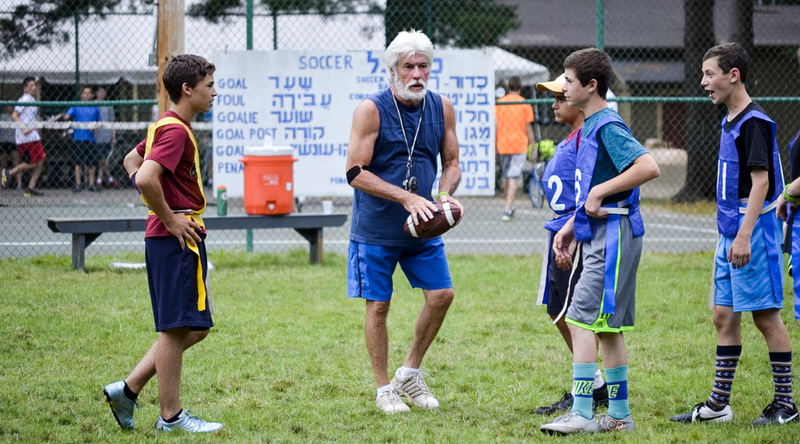 Camp Ramah believes that as campers get older, they should have opportunities to focus more intensely on their chosen areas of interest. 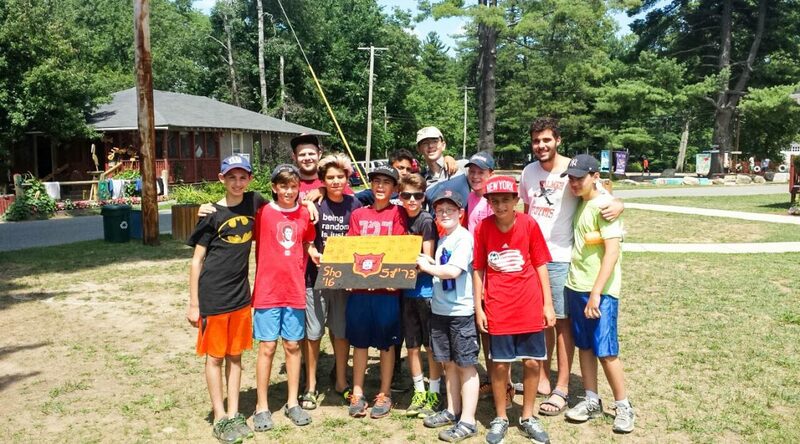 That is why we offer our Tzad Bet (B-Side) campers a special program Kishroniyah, a mini-camp led by visiting professional instructors. 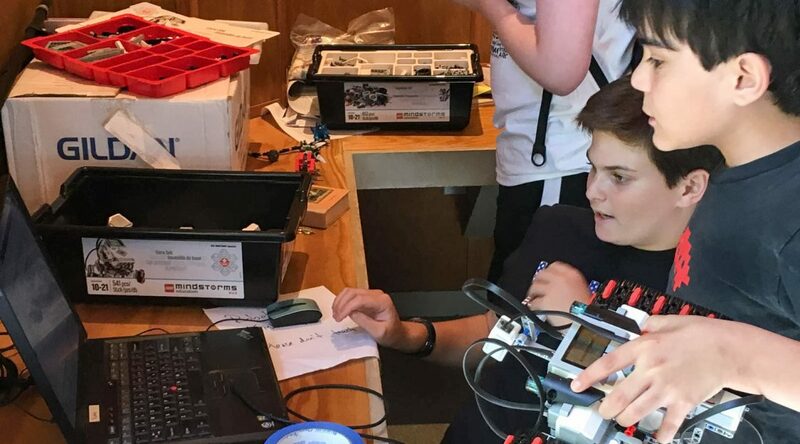 Our experts have included a Harvard dance professor, the coaches of Basketball Stars of New York, a renowned pastry chef, a muralist, and other specialists in robotics, tennis, ultimate frisbee, flag football, a cappella, and more. 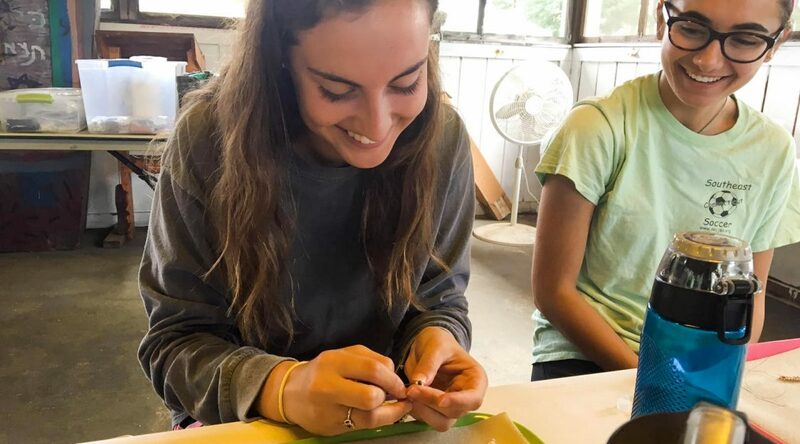 The high level of instruction during Kishroniyah challenges our campers to achieve greater skills and more beautiful creations than they ever thought possible. 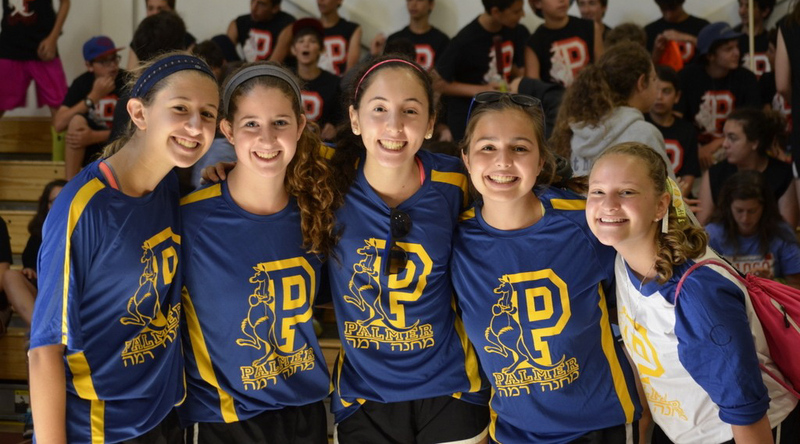 Click here to read about our 2018 Kishroniyah offerings! 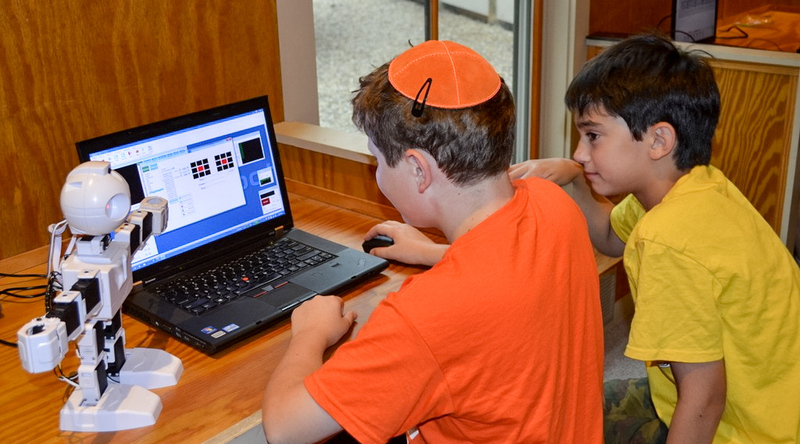 Learn more about Kishroniyah by visiting our blog! 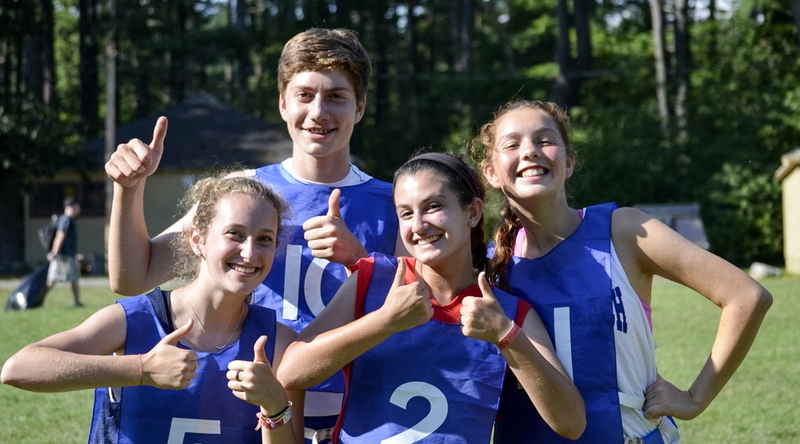 Every summer we compete in two day-long sports competitions with Camp Ramah in the Berkshires. 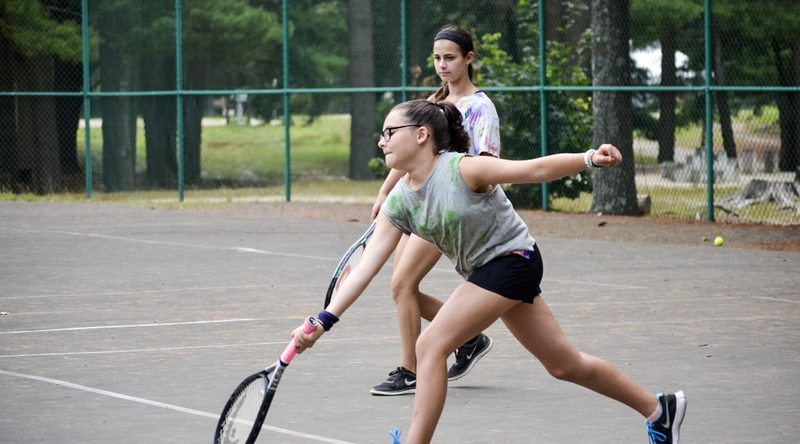 Campers choose from a variety of sports (including dance and even Scrabble) and then practice with their team for much of the summer. 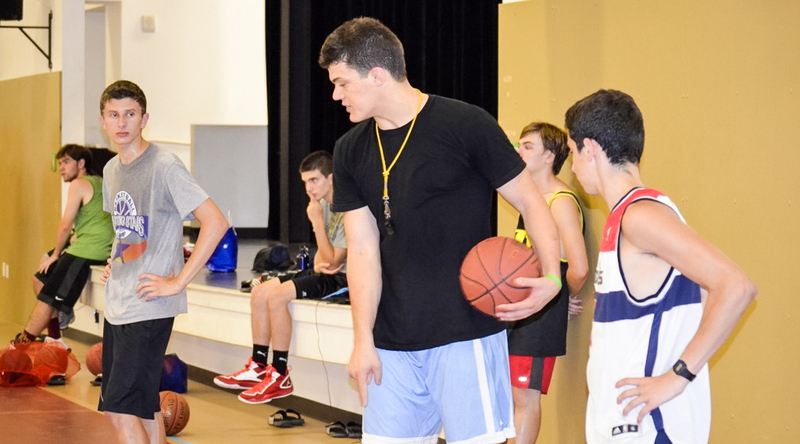 Our coaches place emphasis on team-building, skill development, and good sportsmanship. 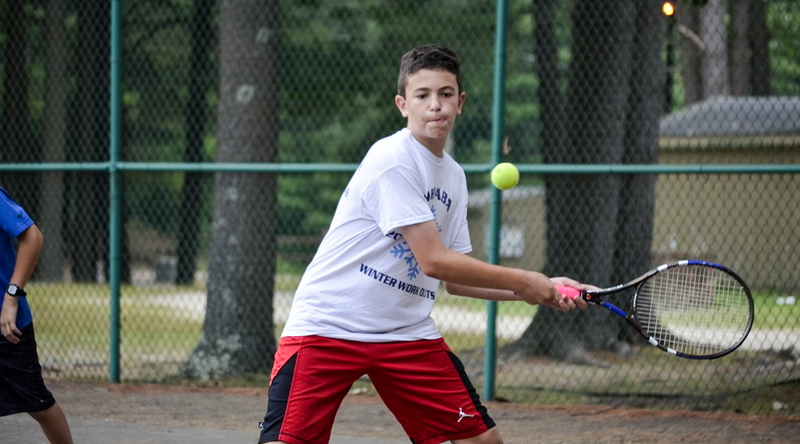 When the day of the competition arrives, emotions run high, and the teams play with a great deal of heart. 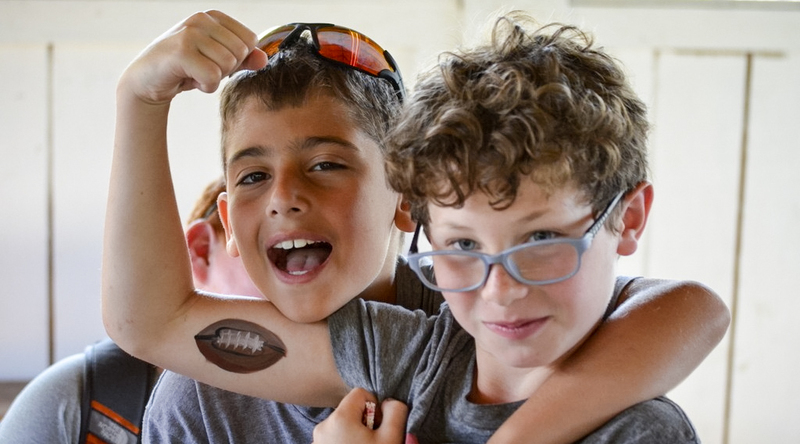 In the end, the bonds formed on the practice fields carry over into daily camp life, and into the years beyond camp as well. 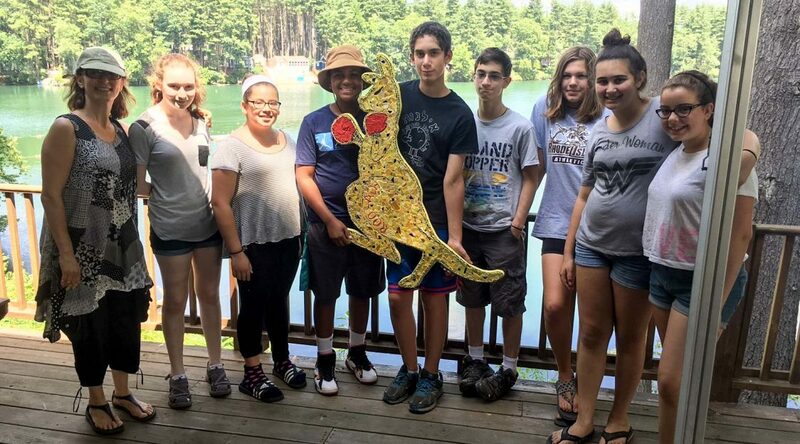 This day is nicknamed “Yom Roo” after the kangaroo camper-created mascot of Camp Ramah in New England. The name is also a play on the Hebrew word ruach, which means spirit/good energy. 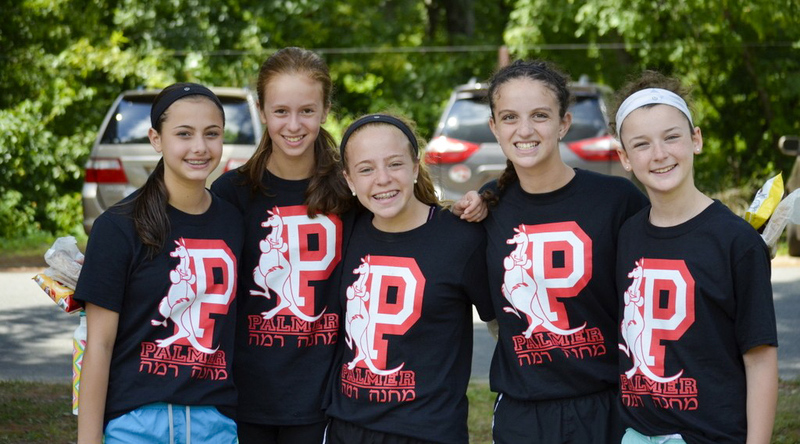 Win or lose, all of our campers have amazing ruach on Yom Roo! 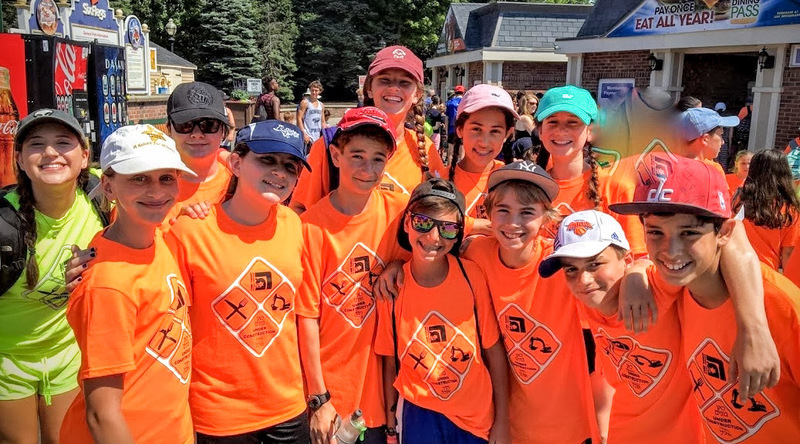 Once each summer, the Nivonim edah (our oldest division, whose participants also work as our CITs) runs a day-long Color War. 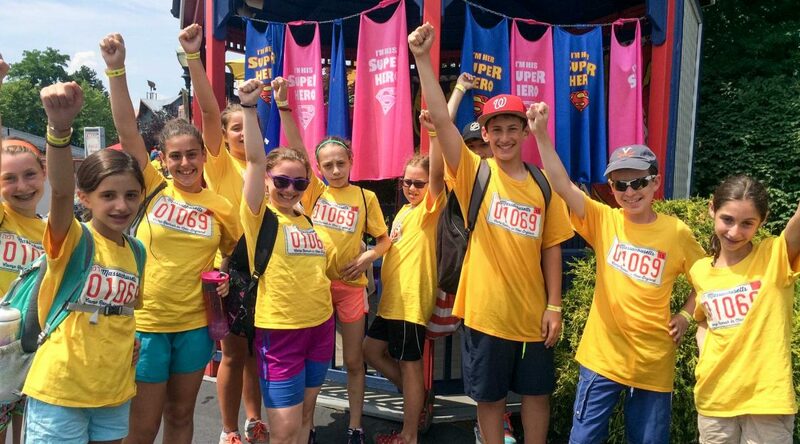 The Nivonimers spend a great deal of time planning and organizing this huge camp-wide event. 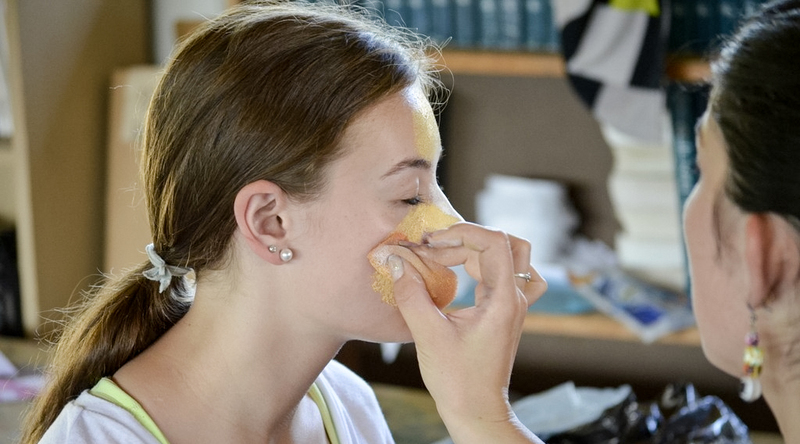 Its date is always a closely-kept secret, and each summer, the Nivonimers “break-out” the event in a new and creative way. 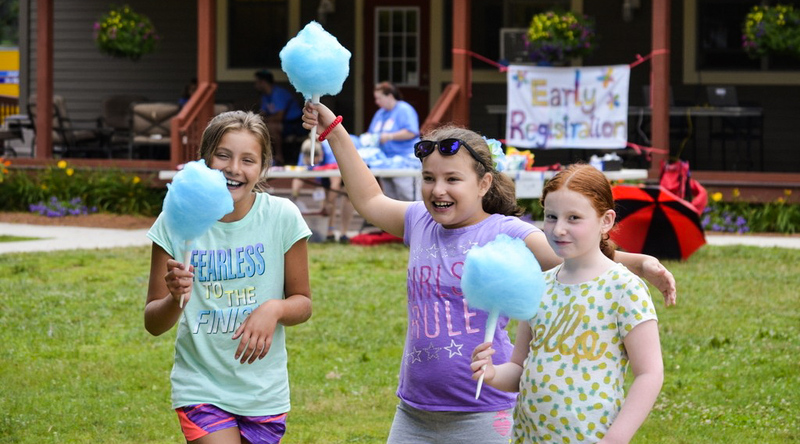 The day’s competitions range from baseball to singing to ga-ga to popping balloons filled with shaving cream using only one’s feet! The word Zimkudiya is a combination of zimriya (song festival) and rikudiya (dance festival). 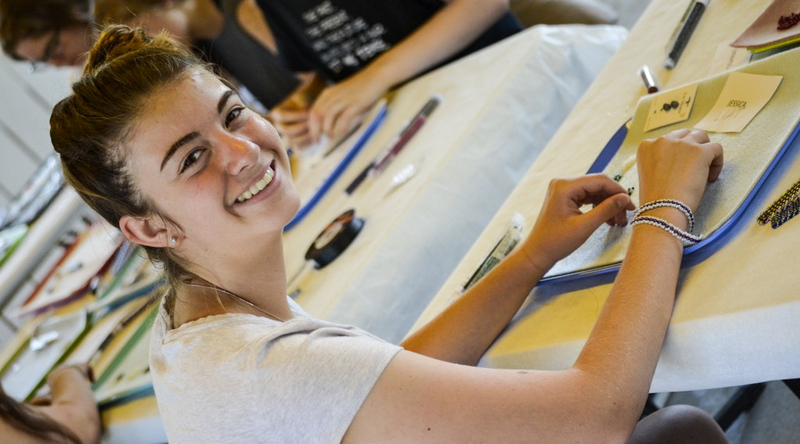 We have so much of both at Camp Ramah that we had to make up a word to bring them together! 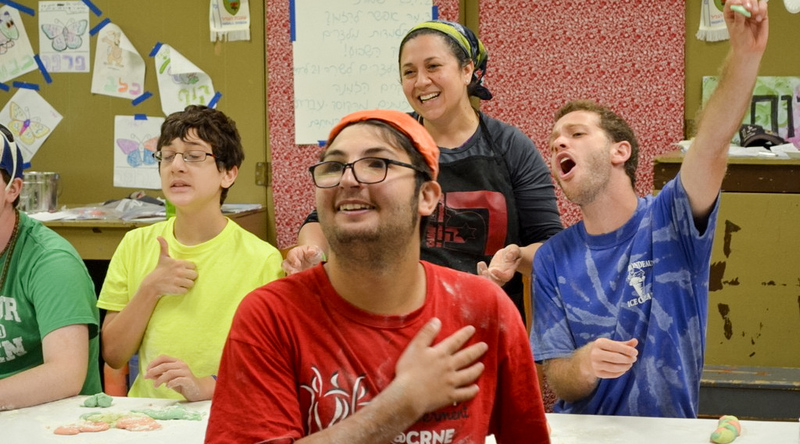 Our Zimkudiya (or “Zim” as it is affectionately known to campers and staff) gives campers the opportunity to perform Israeli music and dance for the entire camp. 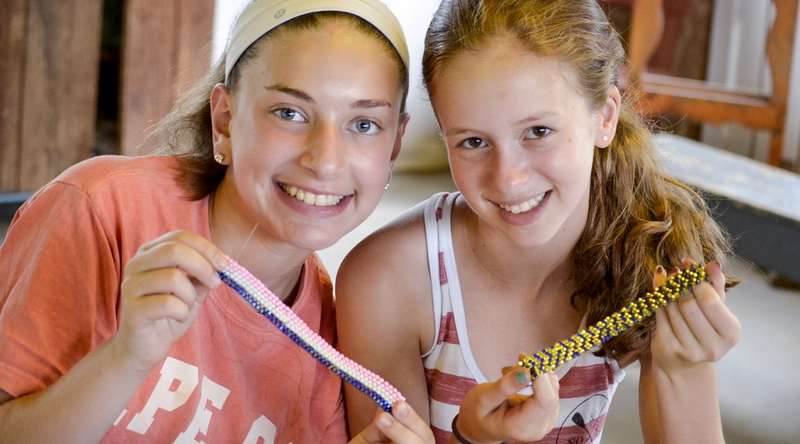 Campers may learn complicated dance steps to Israeli hip-hop music, or they may learn a more traditional circle dance for their performance. 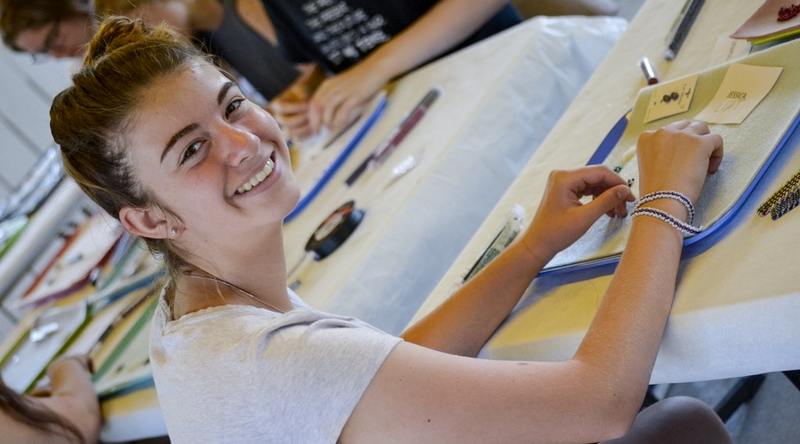 Contemporary Israeli pop songs mix with new melodies using traditional liturgy. 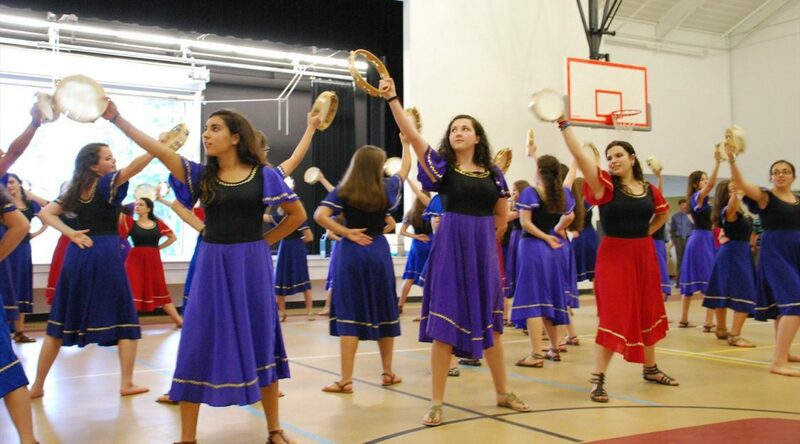 The entire event is an extravaganza of song, dance, and fun. 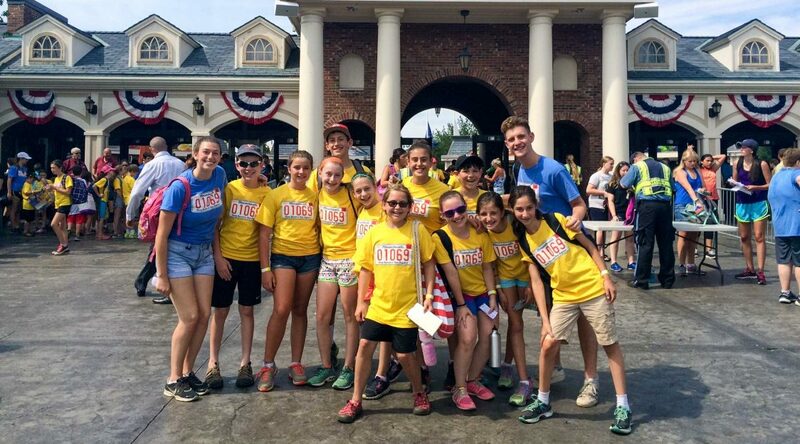 July 4th is always an especially fun day at camp, as we celebrate the United States of America with all sorts of special programs all day long! Sometimes, on especially hot days, we bring in inflatable water toys and give our kids extra time for fun in our agam (lake), and other special activities! 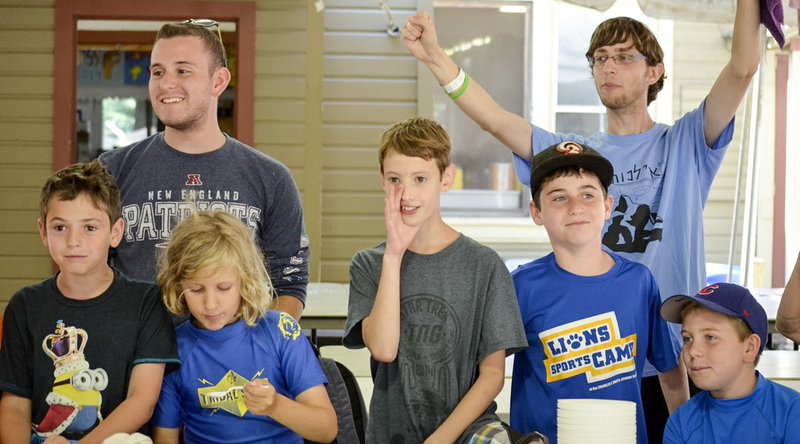 Each four-week session ends with a closing banquet, and an opportunity for all of us to celebrate our great summer experiences. 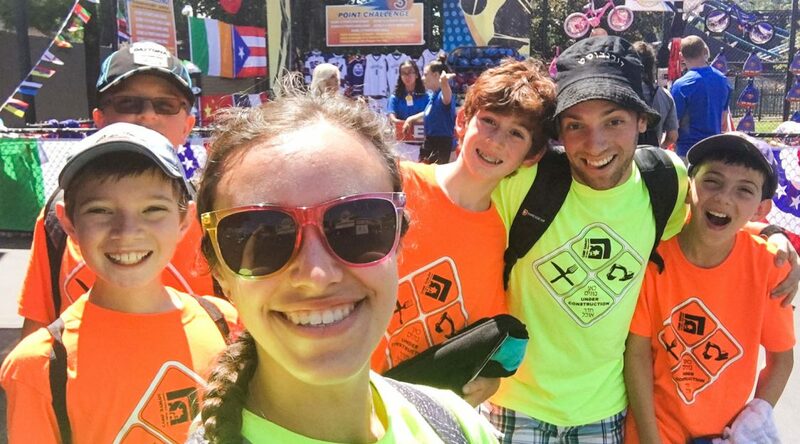 You never know what the banquet theme will be — it could be a huge outdoor carnival or an elaborate banquet and gameshow… or even a fireworks show!